After a brief hiatus for the fall, we are bringing back our B.A.F.F.L.E.D. 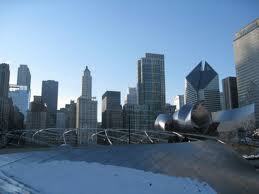 Loves Chicago feature--highlighting the most amazing features and events in the City of Chicago. Since it's a bit chilly these days, these selections will center around staying warm in the cold, but still making the most of the cooler temps. LIGHTSCAPE - 12 lighted Plexiglas “prairie grass” landscapes along sidewalks and with colors and patterns choreographed to seasonal music – is the core of this holiday celebration featuring 100 events and special offers at area businesses. State St. from Lake to Van Buren. *This one ends on the NYE, so get there quickly! The rink, now in its eleventh season, draws more than 100,000 skaters annually and is free and open to the public. Skate rental is available for $10. Michigan Ave. & Washington St. This ongoing exhibition presented by the Commission on Chicago Landmarks features 72 black and white photographs of 24 landmarks and historic districts by Richard Nickel, Barbara Crane, Bob Thall, and Stephen Beal. Need we say more!? Learn all about this favorite treat and its presence around the world! This exhibition of sculptures by Dr. Smith, the founder and director of the African American Heritage Museum and Black Veterans Archive, celebrates the energy, will, and talent of a single man of commitment and reveals a rich legacy of folk art in the Midwest. We'll have more as the winter moves on....stay tuned! Our final Tuesday Tops of the year had to be amazing. It's been an amazing year! Fashion and law are the 2 main reasons this blog is on the web. As an attorney with a love for law and passion for fashion, it was exciting to find others share the same interest. Fashion law is fairly new on the scene, but so much has happened in the industry this year. 1. Fordham Fashion Law Institute turned 1! Our fearless leader in fashion law, Susan Scafidi, is not only the author of Counterfeit Chic, but also the brains and fashionable attorney behind the Fashion Law Institute at Fordham Law School. For years, so many of us just wanted a class on fashion in law school, but this is totally next level! The Institute not only offers a clinic and help to the fashion district--where it's located in NYC-- but also seminars for practicing attorneys living and loving the field. We are so proud of this accomplishment, appreciate our trendsetter, and look forward to growth of fashion law across the globe! This year, legislation for fashion designs reached its farthest mark yet, getting a hearing in a U.S. House Judiciary Subcommittee. H.R. 2511, or the IDPPPA (Innovative Design Protection and Piracy Prevention Act) would give legal protection to particular fashion designs, with the aim of slowing counterfeiting and infringement in the fashion industry--something some say the industry is almost built upon. We will be watching the next steps on this bill, as the push for protection continues. One of our favorite fashion law blogs has branched out into design. The amazing lawyer behind Fame Appeal started a scarf line, and as a fellow legal fashionista, we were quick to place our order. Order yours now! Thanks to Fame Appeal for paving the way for lawyers with the passion for their own collection. Trailblazing! Usually it's the other way around. Many major fashion designers have had to file suit against the fast fashion giant for taking their high priced designs and turning them into affordable copies. This time, XXI filed a claim against a blogger who made fun of the company for their business practices. Forever 21 didn't find the site's parody funny in any regard--and sued. Well! Everyone, fashionista or not, knows the bright red soled shoes are creations of Mr. Christian Louboutin. However, YSL felt the trademark look was open for use, especially after they featured it on a shoe of their own in the 1970s. They later found themselves in a legal battle. We are still waiting for a final ruling on this one, but color-conquering brand Tiffany's has stepped in to help out. B.A.F.F.L.E.D. fave Staci Riordan weighed in as well. This is a recent story, popping late last week. Clearly the producers figured the fakes might go unnoticed. Hangover 2 might be headed to video, but they weren't gonna get away with this one for too long! 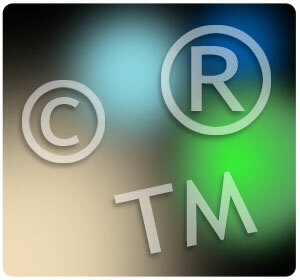 It's actually their second intellectual property lawsuit surrounding the comedy...remember the Mike Tyson-esqe tattoo? 7. Fashion law is crossing borders! Not only is fashion law an emerging niche in America, but north of the border, too...just ask Canadian fashion lawyer Ashlee Froese of Brand Fashion Law. Our fashion friend from the Fashion Cloture blog also kept us up to date on all things happening on Capitol Hill--impacting local and global fashion-related markets. Not too long after starting a fashion line for Sears, Kourtney, Kim, and Khloe were sued for infringing designs. Just being in so many areas of the entertainment business, we know this case won't slow them down, but it's definitely one for us to watch. In the charge to keep copies out of the market, the fab magazine presented the FANIF campaign: Fakes Are Never In Fashion. We know that's the truth!! From their home site to Twitter, the FANIF message spread like wildfire in 2011. As mentioned earlier, the Institute at Fordham has a host of educational opportunities for those with the emerging passion for fashion and love for law. Now, there's even forums for people seeking to make the niche part of their career, and fashion law colleague Charles Colman was there to speak about it. See....we're growing!! 11. 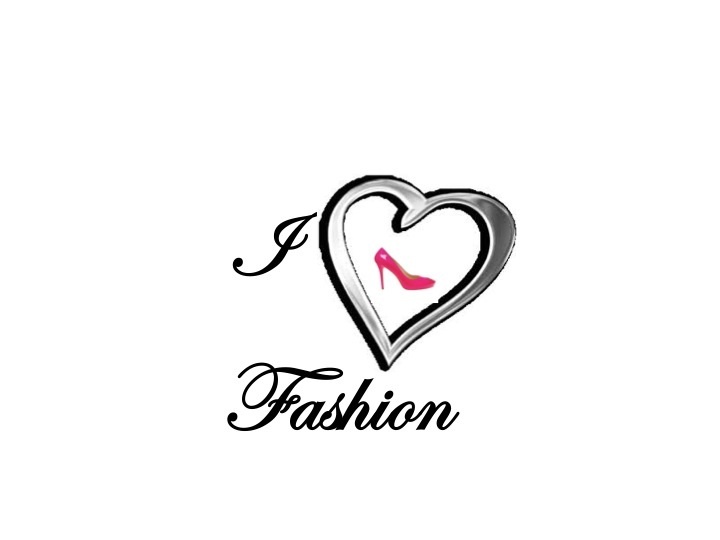 Fashion Law Blogs took over the internet and Twitter! The blogging lawyers behind these sites are not only super smart, but use their legal knowledge and fashion savvy to keep the masses informed on all things legally fashionable. Check them out, follow them on Twitter, and love them like we do! #Fashionlaw! If you're still unsure about this whole "Fashion Law Movement" thing...here's 5 reasons to let you know--it's real! For more, stay tuned to our Fashion Law Files. Everyone may not celebrate Christmas in the same way--or even at all, but we are wishing you all a Merry Christmas, Happy Holidays, Peace & Joy, and all the best! We appreciate you letting us into your inbox, timeline, and regular reading list. What Can Law School Do For You? This may sound like a pub for UPS, especially during the holiday season, but it’s definitely just homage to the bittersweet trial we legal types call “law school”. Law school has long been touted in many ways, from a professional school churning out elitists, to the pathway to a lifetime of public service. Both are correct, and sometimes simultaneously. Although a lot of potential applicants may shy away from the 3-4 year commitment (2 if you take on Northwestern’s new program) because of today’s economy, there are still a slew of advantages graduates come away with. Here’s our take on the beloved profession, and yes, this is obviously biased-- yet factual. Law school teaches you time management. Whether you go full-time and have to balance 12-15 hours of classes, or part-time with a full-time job, you’ll learn all about juggling time and interests. You’ll need to add in rest, family and friends, but usually at a safe enough minimum to actually keep them in your life, despite your school commitments. After law school, your calendar/smartphone will be more than a necessity; it’ll be a given. Law school teaches flexibility. If not in school, definitely on the way out these days, you learn about being flexible. You'll be picking classes you may or may not get into, choosing intern and externships, and being ok with where you fall v. where you swear you should be. Law school preps you, or maybe even forces you—into the trait of flexibility. If you think dealing with clients, in whatever way you may after school, won’t require flexibility, you’ve definitely missed something major. A legal education gives you a new way of thinking. Not only do you learn the law, but you learn how to process thoughts differently. Being forced into page and word limits, and keeping only the most important, relevant issues at hand, law school will help you see the world in a unique perspective. You’ll separate thoughts into necessary compartments, and explain yourself in a way appropriate for your audience….all because you made it through Legal Writing! Law school gives you a specific education, with skills you can use anywhere! The range of classes offered, and the training to be used anywhere are skills nearly unmatched when paired with one’s other experiences and education. The diverse way of thinking and tough state licensure are not bad add-ons, either. This is truly something you can make work in any way you want! Finally, patience, teamwork, and networking are all marketable skills you’ll take away as a Juris Doctor. The patience of getting through the innate difficult times as a law student will be much-needed characteristics in practice—trust in this! Teamwork and networking, despite the ever popular curved grading will also be natural traits upon graduation. You’ll make amazing friends in law school, and study groups for the Bar are never a bad idea. Taking advantage of the many seminars and socials offered to law students, (usually at no cost) are great ways to meet people in the field and connect with those who have been where you have to go. And as always, we promote volunteering and giving your time. You’ll do in it practice, and the advantages are endless for both sides. We hope this info is helpful to you—whether you’re considering law school, or just need a reminder as to why you’re there. We’ve been, understand, and can promise rewards in the end. I am not usually known for writing about sports stuff here, as V usually prefers to air my views on beer or the environment, but little known fact: I actually like other things besides environmental issues and shaming you all into being more responsible and sustainable. Some of those things include major organized sports, saving baseball (boring on TV) and hockey (I don't really get it, sorry). Many of you probably know that the 2011-2012 NBA season was in danger of not happening due to a large scale dispute between the players and owners. Now, I am no fancy big city lawyer (although V is) and I have only a modicum of understanding of what the specifics were that led to there almost being no NBA this year, or how a deal was reached, so I will not try to explain that (better people have done so for me). So now that we have this sleeker, likely sloppier season looming, what do we have to look forward to? Those of you who have been keeping up with things probably know that there looked to be some exciting trades happening, including a possible Chris Paul to the Lakers trade that would have paired two of the most exciting NBA superstars together. You probably also know that it didn't happen. However I feel about Kobe Bean Bryant, the Lakers, or Chris Paul is irrelevant. 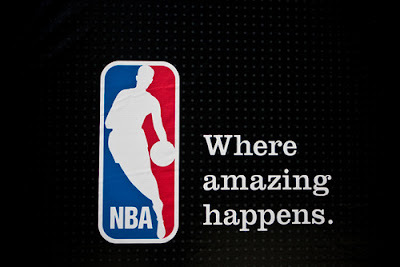 As a basketball fan, I felt that it would have been great to see those two play off of each other and maybe help people forget the shitshow that was the NBA lockout and realize that yes, professional basketball is indeed where "amazing happens". But with this, it basically brings back some of the ugliness of the lockout; that of the owners' (who collectively own the Hornets, by the way) issues with control dynamics, the whole small market vs. big market disputes, and that it looks like David Stern is doing a poor job managing things (more on this after the jump). Chicago Bulls - U.S. Marine Corps Toy Drive! The Chicago Bulls will host the “Find a Toy a Home for the Holidays” toy drive on Tuesday, December 20 to benefit the U.S. Marine Corps Toys for Tots Program. 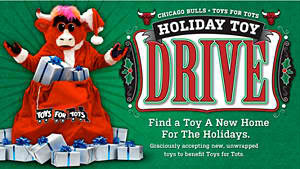 Prior to the tip-off of the Bulls’ preseason game against the Indiana Pacers, fans are encouraged to drop off new, unwrapped toys at any of the United Center admission gates. Gates open at 5:30 p.m.
U.S. Marine Corps members and other volunteers will also be at the gates that evening accepting monetary donations. Tuesday, December 20 | 5:30 – 7:00 p.m. In line with its year-round commitment to give back to Chicago, the Bulls have tipped-off their “Home for the Holidays” campaign to reach out to the community this holiday season. The Bulls have planned numerous events to share the joy of the holidays with Chicagoans in need including a toy drive, a shopping spree and holiday parties with local charity organizations. We must reduce our Inventory of overstocked items before the end of the year. All of our sales feature very gently used designer clothing and accessories at prices everyone can afford. 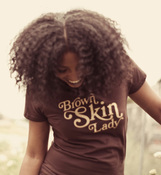 All proceeds from the sale go directly to support the mission of Bottomless Closet. The mission of Bottomless Closet is to support women in transition by providing business professional clothing, career skills and image coaching, empowering them to interview with confidence, gain employment and achieve economic self-sufficiency. During the holiday season, waste disposal increases 25% in the United States, causing an extra 5 billion pounds of waste in the landfills according to the Medical University of South Carolina. Plus, travelers will be logging tons of miles and creating tons of greenhouse gas emissions. Reuse old wrapping paper or put your gifts in reusable bags or boxes. Be creative about giving old materials new life -scraps of fabric, magazines, or calendars make great patchwork bags or collage wrapping paper. Search the National Green Pages for cards made from kenaf, hemp, and other tree-free resources. Or, send e-cards and avoid the wait at the post office for stamps. Host a zero-waste party. Minimize the garbage by asking people to bring their own cups, plates and utensils if you don't have enough of your own. Use fabric tablecloths and napkins. Then be sure to recycle any post-party cans and bottles and compost food scraps. Some of the most popular gift items for children and teens are electronics like computers, video games, and music devices. But the manufacturing and disposal of these items creates significant human health and environmental hazards. To learn more about the environmental impact of computers and electronic devices, check out the Silicon Valley Toxics Coalition. The Recycled Video Games Network is a great resource to dispose of old equipment or buy recycled games and systems for less, reducing the amount of new materials made. Instead of spending money on commercial goods, give the gift of your time and talent to loved ones this year. Offer to make dinner, walk the dog, help with gardening or home repairs, or invite friends over for Fair Trade coffee and tea. If you are one of the many people planning to log a lot of travel miles this holiday season, don't forget to look into green options for getting around. Better World Travelers Club can help you offset the carbon emissions from your travel through their Travel Cool program. Plus, Green America has partnered with Native Energy to help you offset your energy impact, including travel impact, fund the production of more wind energy, and generate support Green America's Green Energy program. If you choose to give presents over the holidays, shop with green businesses listed in the National Green Pages. This year, a number of green businesses are offering special discounts to make green gift giving even easier. 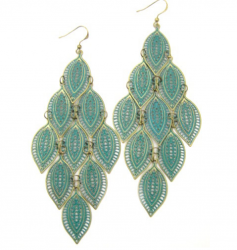 Check out our Green Gift Catalog. To reduce environmental impacts, it is important to recycle all cardboard packaging and peanuts or other Styrofoam packing that comes with gifts or purchases as these items will not de-compost in a landfill but can be used over and over again for packaging and shipping. The National Green Pages contains several listings for easy drop-off centers for both types of waste. A few other things you can do are not to buy an actual or plastic tree (if that is your thing), but try to think of other ways to decorate without promoting the cutting and temporary use of trees or plastic. Also, since it is a bit colder and buying all those gifts can take a chunk out of your wallet, weatherizing your home and taking small steps (such as lowering your thermostat by 3 degrees or an optimal 68 degrees and lowering the temp by 8 degrees when asleep or away at work) will save you a lot! Having a green holiday does not take a lot of work, and will not put a damper on the spirit of celebration; in fact, knowing that you’re keeping our planet cleaner should brighten your mood even more! Enjoy, and have a happy green holiday! 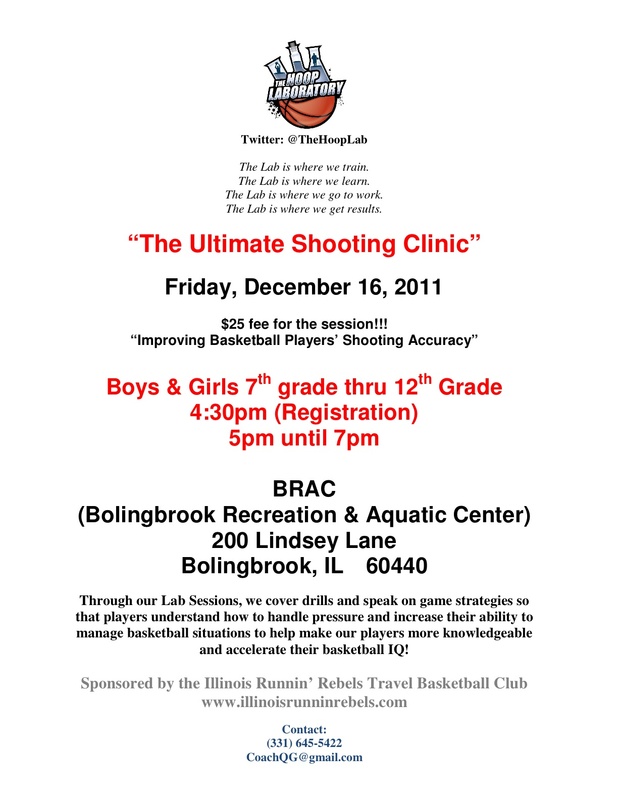 Get your young hoop stars involved today! 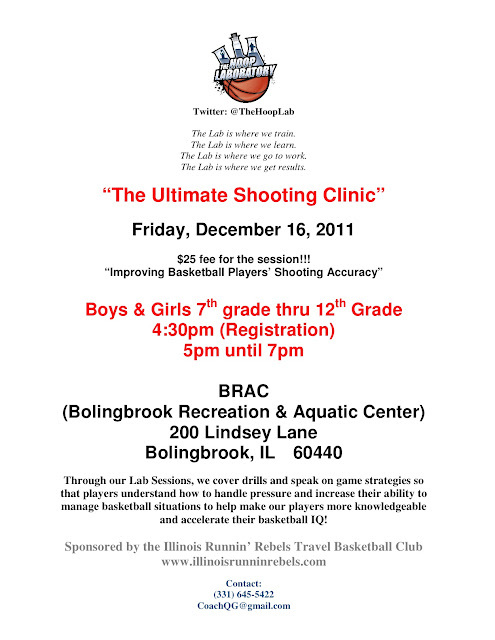 Sign up for this amazing shooting clinic and get them ready for basketball success!! Top 5 Ways to Give - Fashionably! This week, we are highlighting 5 of our favorite fashionable sources for giving. True, it's the holiday season, but really, we should be giving and thinking of others all year long. 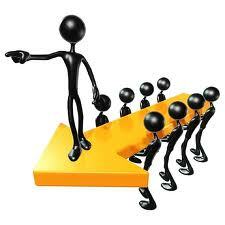 No one can prosper alone, so in giving and doing for others, we can receive and progress ourselves. Check out these fashionable organizations needing your help all year long, but maybe a little extra this season. You know this is a fave. They're helping women be ready and well-dressed when returning to the workforce. This organization even offers special workshops and socials to keep the network of amazing women strong. This group connects the fashion industry to the victims of natural disasters, not only reminding them people care, but deliverance from evil looks pretty good! Every true fashionista has a wealth of shoes, and an undying love for the pedi-covers. SYS takes gently used shoes and provides them to those in need....similar to the swapping girlfriends and sisters do! You don't want to have to walk in the shoes of the less fortunate, so let them walk in yours! This is an old favorite, and a tad more gender neutral. Guys, we want you to give, too! Goodwill has been a staple in the donation industry for many years, and they obviously rely heavily on donations--primarily in a tough economic market, and with frigid temperatures approaching. Look for your local Goodwill, and share more than just the clothes you're replacing. No matter what age you are, looking good tends to make you feel good. Locks of Love provides donated hair to children dealing with hair loss from various medical conditions, giving them the chance to feel rejuvenated by natural-feeling locks. As healing begins on the inside, it can show on the outside. Remember giving is appreciated in more than just monetary ways. Participate in the Official Anais PR Toy Drive, and check out hot fashion by Fashion Geek while you give!! World AIDS Day is one of the most recognized health awareness days across the globe. The commemoration began in 1988 by the International AIDS Society at the international AIDS Conference. AIDS (Acquired Immuno Deficiency Syndrome) is the final stage of HIV, the Human Immunodeficiency Virus. The disease compromises the immune system, putting the body at risk for infections, resulting from a weakened immune system. One of our faves, The Red Pump Project takes on the challenge of spreading awareness everyday--not just December 1st. The organization sponsors events, programming, fundraising, and shares critical knowledge for fighting this life-threatening condition. 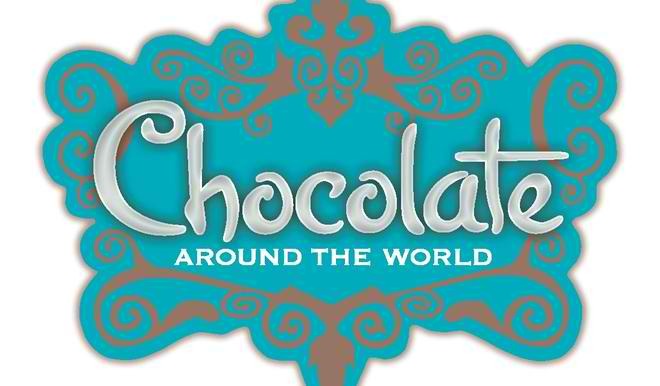 Check out their site, and see what they have coming up next. The World AIDS Campaign regularly takes on the initiative to spread awareness about the disease and increase research as much as possible. Informed by those most affected by HIV, the World AIDS Campaign’s goal is to ensure that governments and policy makers meet the HIV targets they set, the commitments they made, and mobilize the necessary resources for a world where people do not die of AIDS and opportunistic infections. 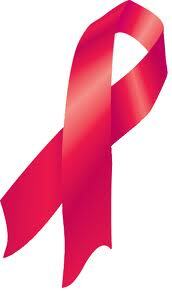 Support AIDS research and prevention today, and everyday! 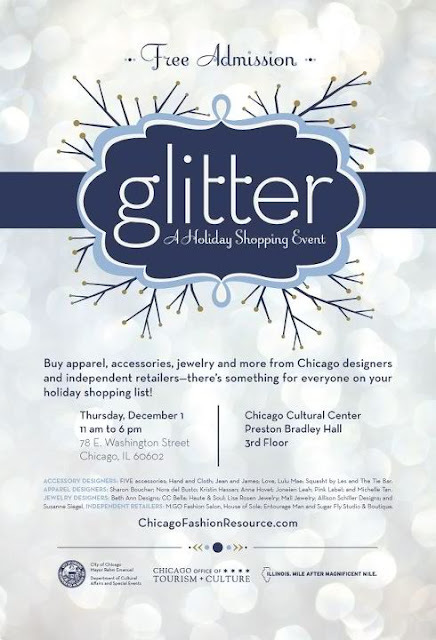 Check out this fabulous fashion event, and get started on your holiday shopping! Tea is the second oldest beverage known to us after water, and it has almost as many benefits. As we turn to hot tea to keep us warm in these chilly months, remember these benefits when making your beverage choices. 1. Tea aids in digestion. Green tea particularly, is essential to healthy digestion. It is a natural diuretic, and helps flush your system of toxins clogging passageways. Green tea blocks cholesterol absorption and leaves nutrients essential to health and energy. 2. Tea helps keep your teeth healthy. Rinsing with black tea helps reduce plaque formation and the production of acids which cause tooth decay. Another ingredient in black tea, tannin, has been known to fight bacteria, causing decay. 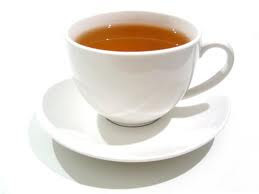 Black tea can stain your pearly whites, so keep green tea as an option, or rinse with water after your black tea rinse. 3. Tea helps fight cancer. Because of tea contains antioxidants which fight free radicals in the body, it is known to help prevent cancer as well. The lack of pollution in the body contributes to keeping cancer cell growth at bay, and a healthy immune system. 4. Tea helps reduce heart disease and stroke risks. Tea keeps arteries smooth and clog-free, therefore the risk blood clots and cholesterol blockages pose leading to heart disease and strokes, is reduced. Hot tea is especially helpful, as warm/hot water is good for helping clear the esophagus and intestines. 5. Tea helps fight weight gain. Not only do most teas not have calories (without sugar or milk, of course), but they help boost metabolism and provide the energy needed to burn the calories you get elsewhere. Taking in even 250 fewer calories per day can result in losing 1 pound per week--so tea is an optimal beverage choice for the weight conscious ...especially after the holidays. It's also a great substitute for sugary carbonated beverages. Consider adding or increasing your tea intake. The benefits are endless! For more tea suggestions, click here. B.A.F.F.L.E.D. 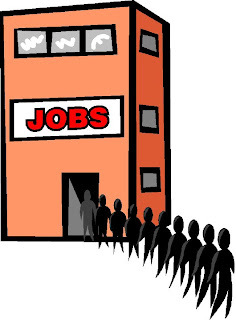 is in the business of jumpstarting the economy. As promised, we will keep posting jobs across the nation to help get America working. Please feel free to send along any postings you have or know of, or note them in the Comments section below. Let's keep this going and help one another! Of course the major retailers are having all the sales you can think of, but what better way to shop than to support businesses in your neighborhood or owned by friends?! While checking out the deals in your sale papers, brick and mortar stores, and online, also be sure to check out some of our favorite small businesses. You can even join White House Senior Advisor Valerie Jarrett in "Small Business Saturday". You won't be sorry, and if you miss out....well, shame on you! 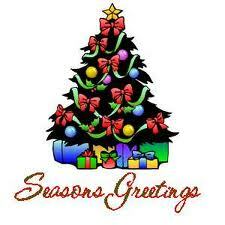 We hope this message reaches you happy, healthy, and ready to eat a great meal with your loved ones. 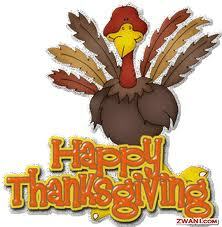 Enjoy this day and be sure to give thanks for all you have. We're absolutely thankful for you! M: I have known MK (as she likes to be known) for about 5 years, and first met her when I was wandering the streets of Seoul. She is a good friend of mine and has taught me a lot about fashion, Korean culture and cooking. She was happy to talk about some of her experiences in the study of fashion design. V & I posed some questions her way, and she was gracious enough to share. MK is a graduate of Bunka Fashion College and a native of Seoul. She currently lives in the New York City area and is currently attending Parson's, studying fashion design. She is passionate about fashion, animals, and music. B.A.F.F.L.E.D. Blog:What did you do prior to attending Parsons? ?What led you there? 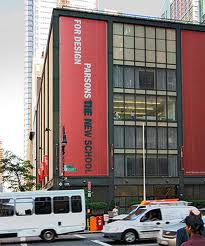 I studied fashion design at Bunka Fashion College in Tokyo, Japan for two years. I dreamed of being a fashion designer since I made Barbie clothes when I was 8 years old. It took me a long time to go but finally I was able to make it and I graduated. MK My style is mannish and avantgarde. I wear what I want to wear, and I don't follow others' examples. I insist on my own style. Many people are curious about my style so they always ask me where I got my clothes or the brand name. I think I'm good at coordination. BB: What is your most treasured experience as a fashion student? MK: The most treasured experience I have as a fashion student is reaching to be a fashion designer, learning new things and getting new information. Also being able to showcase my potential ability in fashion design. BB: What are your plans after graduation? MK: I will work as a fashion designer, but before that I will get an internship. I will try work at a bridal brand or couture. Even though my style is totally different than those, I like creating beautiful gowns, such as evening dresses or wedding dresses. BB: What advice would you give aspiring fashion students? MK: If you decide to be in fashion, don't give up no matter what. It might be tough and stressful, but don't forget you that are reaching to your goal. You need to be strong and patient also enjoy it! Thanks a zillion to MK for answering these questions and giving us an inside her fashion school experience!